Due to lack of time this month I am going to be posting a couple of mini reviews. 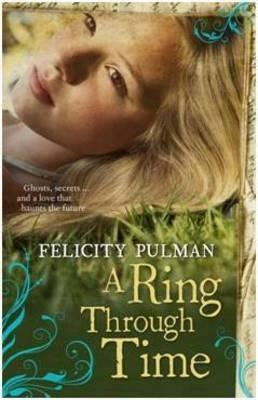 A Ring Through Time by Felicity Pulman. Alice 'Allie' Bennett Has moved to Norfolk Island with her family, where her ancestors had also lived. Finding herself an 'outsider,' Allie is determined to find out the truth about her ancestors involvement in the islands past. A Ring Through Time is haunting tale of love, betrayal and sacrifice. It illustrates perfectly how easily the secrets of the past can be lost. Well worth reading. Thanks to Harper Collins Australia and Netgalley for the ARC. After three years in an unhappy marriage Emily Oliphant decides to leave her husband and start over. Not an easy feat when your husband is one of the wealthiest land owners in the district, but with the help of her friend Barbara, Emily slowly begins to reclaim her independence and follows her dream. Saving Grace is a story of new beginnings and having the strength and courage to move on when the world falls down around you. A nice light read, but the ending is left wide open for the next book in the series, making it feel unfinished.